Straight to wavy, medium length doublecoat. 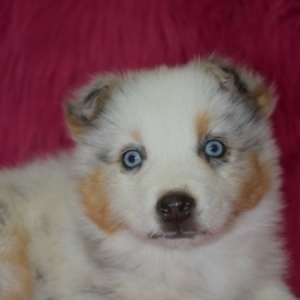 Australian Shepherds are the ultimate working dogs. 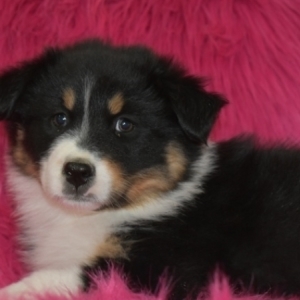 Actually not from Australia, as one might rationally conclude, these pups grew in popularity as herding dogs because of their high energy levels and impressive intellect. These dogs like to be occupied with a job to do, and excel at many activities, including herding, search and rescue, and agility. 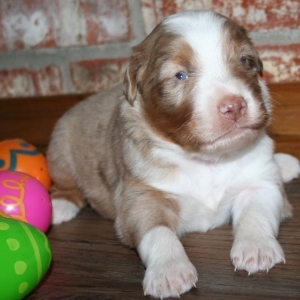 Aussies often have distinctive merle coloring and bright, striking eyes that come in a variety of colors. 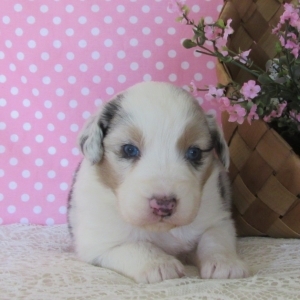 They are medium-sized, smart, loyal dogs and make devoted companions to active families. This active breed gained popularity in Western culture after WWII, and was often featured in rodeos, horse shows, movies, and television. 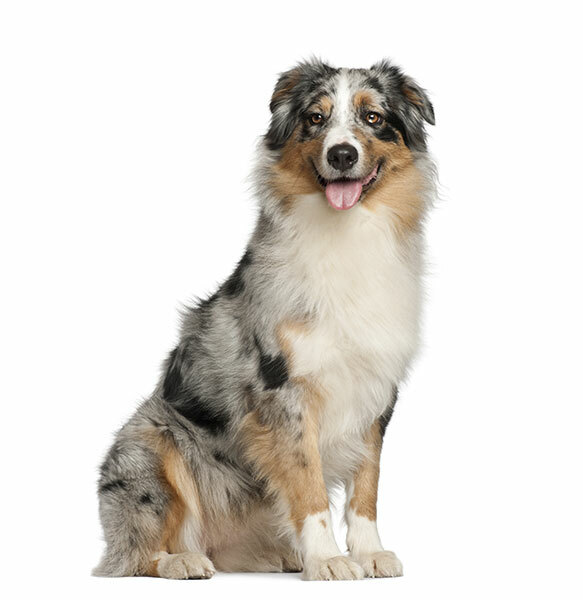 Despite its name, the Australian Shepherd originated in the United States in the 19th century.